Steven Spielberg's Oscar Award winning adaptation of Peter Benchley's novel about a giant great white shark that terrorizes a small island community at the height of tourist season. Scary cello music throughout John Williams' Academy-Award winning score. 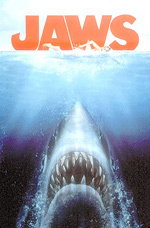 Favorite quote: "You're gonna need a bigger boat." The "cleverest species of them all," the Land Shark terrorizes young women in their homes by pretending to deliver flowers and candygrams. Favorite quote: "I'm only a dolphin, ma'am." Oscar Award winning animated feature film about a clown fish searching for his lost son, Nemo. Favorite quote: "Hey, I've seen a boat. It went by not too long ago. It went... this way." 30 minute Saturday morning cartoon on ABC about a timid great white shark who is the drummer for the rock band The Neptunes. Set in an underwater civilization in the year 2076, but bearing strong resemblances to Scooby-Doo as well as Josie and the Pussycats. 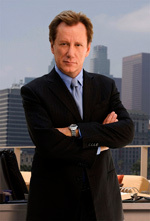 Crime-Drama about charismatic defense attorney-turned-prosecutor Sebastian Stark (Woods) who heads up the Los Angeles DA's High Profile Crime Unit. 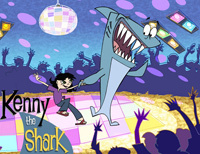 Animated series about an 8-foot, 1500-pound tiger shark who has to adjust to life as a family pet in the suburbs. 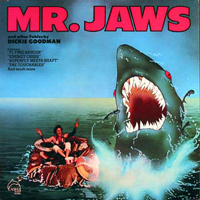 Popular novelty parody song that featured a man-on-the-street-reporter speaking with the shark from the movie Jaws, whose responses are all snippets from popular music of the day. Favorite line: "'He's coming right onto the boat! Mr. Jaws, why are you grabbing my hand?' 'Wouldn't you give your hand to a friend?'" Undersea mafia movie about the son of a fish crime family who is killed by a dropped anchor and a bottom-feeder named Oscar is found at the scene of the crime. Favorite quote: "Be there, if you don't wanna see her sleepin' with the fishes. The dead ones. Now nod your head if you understand... Now tell me if you nodded your head." 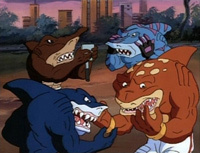 Four teenagers are turned into mutant sharks on rollerblades and battle the evil Dr. Paradigm to protect the Earth. Any resemblance to the more popular Teenage Mutant Ninja Turtles is probably just a weird coincidence. 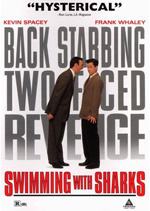 Black comedy/drama about a young Hollywood executive who becomes the assistant to a big-time movie producer who is the worst boss imaginable, but the tables turn when the young executive kidnaps his boss. Favorite quote: "No offense to you, but you are just an assistant. Now, granted, you're MY assistant, but still just an assistant. Dawn, on the other hand, is a producer. Her car phone bills are more than your rent. So, just how far do you think you'll get?" 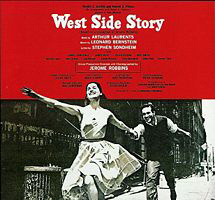 Oscar Award winning (10) modern-day musical adaptation of Shakespeare's Romeo and Juliet set in New York City in the 1950s. Rival street gangs the Jets and the Sharks battle for territory and respect, all while singing and dancing. Favorite quote: "Come in, come in. We won't bite you until we know you better." 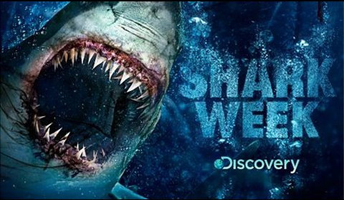 A whole week of programming dedicated entirely to sharks. What could be cooler than that? 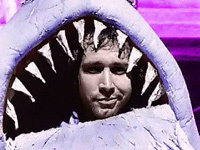 And special guest hosts for the week-long shark-abration have included Dirty Jobs' Mike Rowe, MythBusters Adam Savage and Jamie Hyneman, Survivorman's Les Stroud, Saturday Night Live's Andy Samberg, and The Late, Late Show's Craig Ferguson. 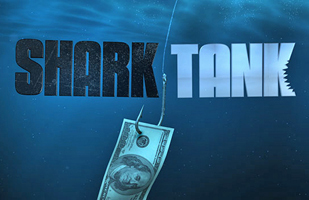 This reality show features a panel of successful entrepreneurs and business executives called "Sharks" who consider offers from other entrepreneurs seeking investments for their businesses, products, innovations, or start-ups. Panel members have included Kevin Harrington, Barbara Corcoran, Kevin O'Leary, Daymond John, and Mark Cuban.